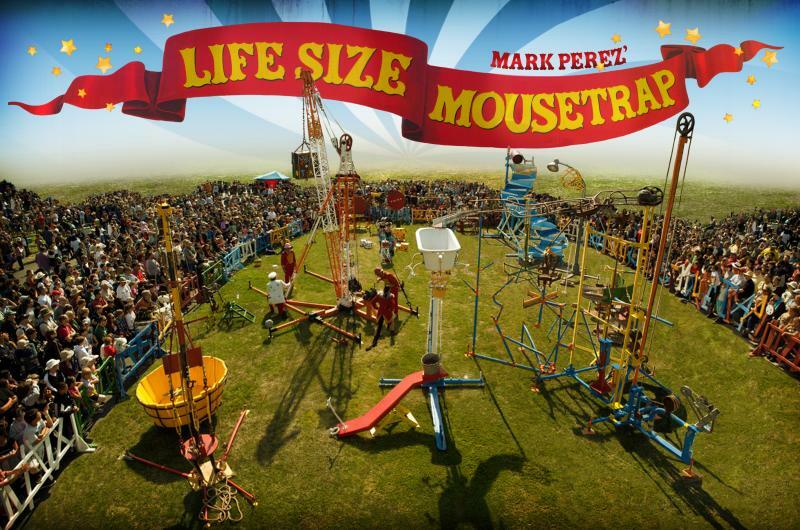 Mark Perez - It's the classic board game miniature turned into a life-size spectacle ! ﻿﻿ ﻿"A visually stunning work of science inspired art and performance! 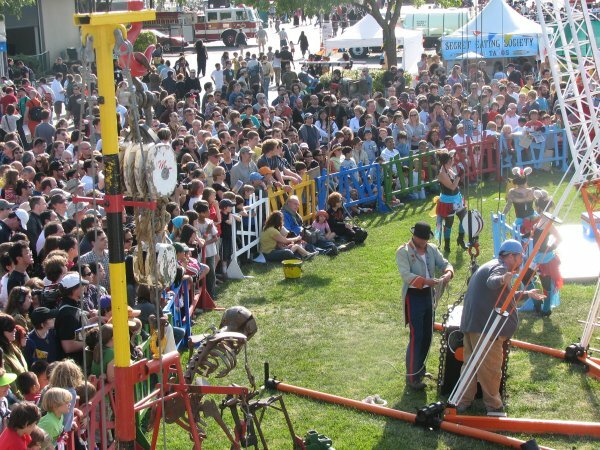 "﻿ Check out the Mousetrap on KRON 4! press Here! 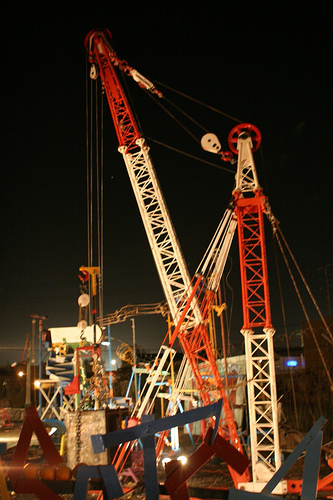 25 ton...Rube Goldberg machine ! At the Henry Ford museum! People who make the Mousetrap go! turned into a life-size spectacle ! 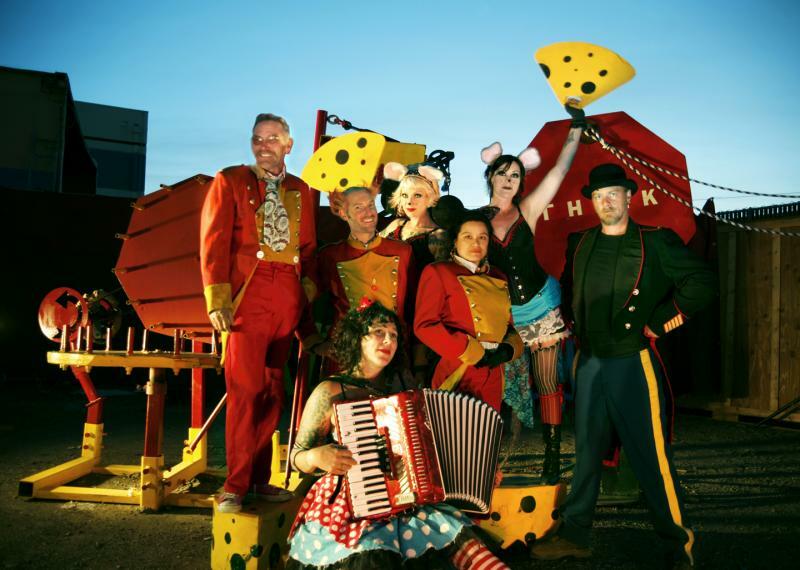 Check out the Mousetrap on KRON 4! press Here! 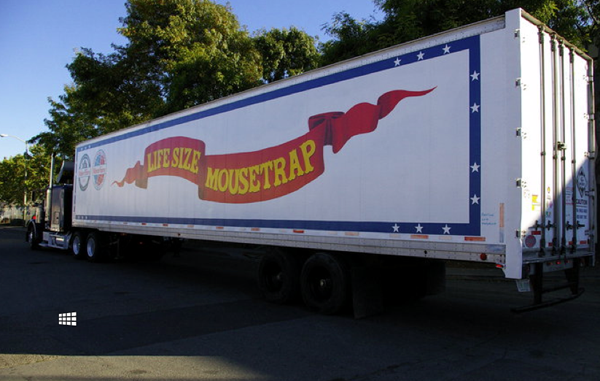 The Mousetrap has combined Newtonian physics and large-scale art with performance to create a unique brand of engineering fun packaged into a traveling road show! audiences of all ages via science centers, museums, and festivals across the United States! 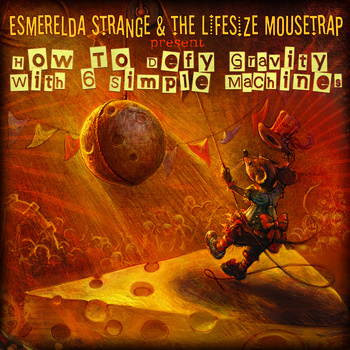 We are excited to announce the release of Esmerelda Strange's full length album! 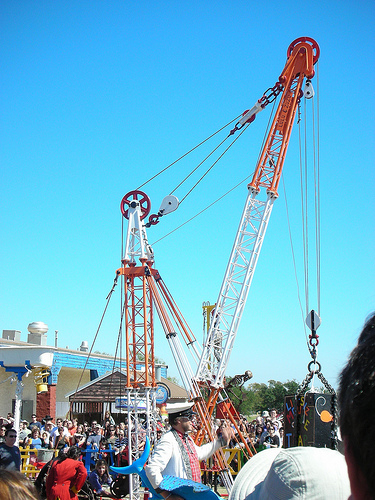 How to Defy Gravity with Six Simple Machines! Copyright 2013 Mark Perez. All rights reserved.